Halloween still exists for those of us in our young 20’s, it just takes a different form (though sometimes we wish we could trick-or-treat from bar to bar). I had such a great time this year despite the cold weather and missed connections with my sisters. My housemate, O, came with me to Chicago to celebrate and go out with my boy. I did some awesome duct tape crafts to make some accessories for my costume and the boy’s. The boy got a bull whip to complete his amazing Indiana Jones costume (really, it was the best). To make his bull whip I just covered a cardboard roll in brown duct tape and then made some REALLY long strands of tape by folding it in half. 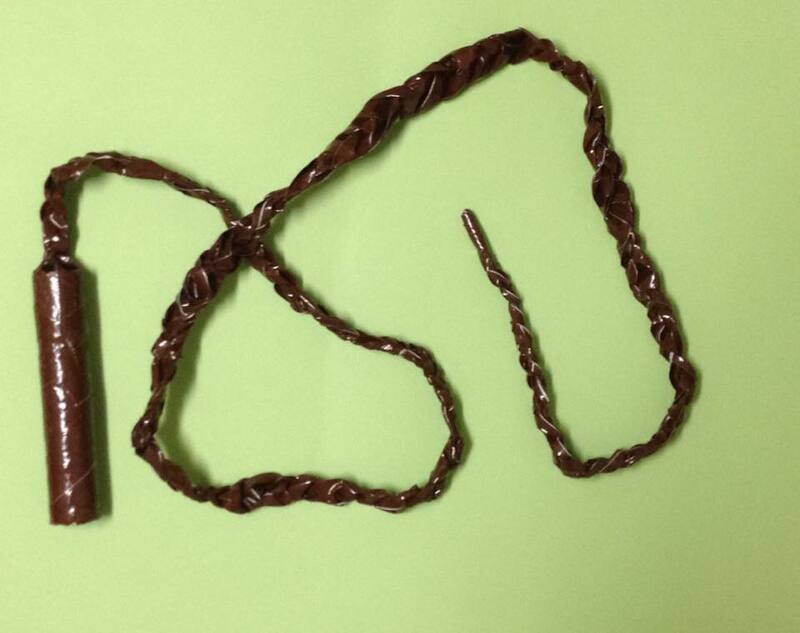 Then, I just braided the strands together half way between loose and tight so it would be able to move. I also scrunched it up while I was braiding to make the flat pieces have more texture. 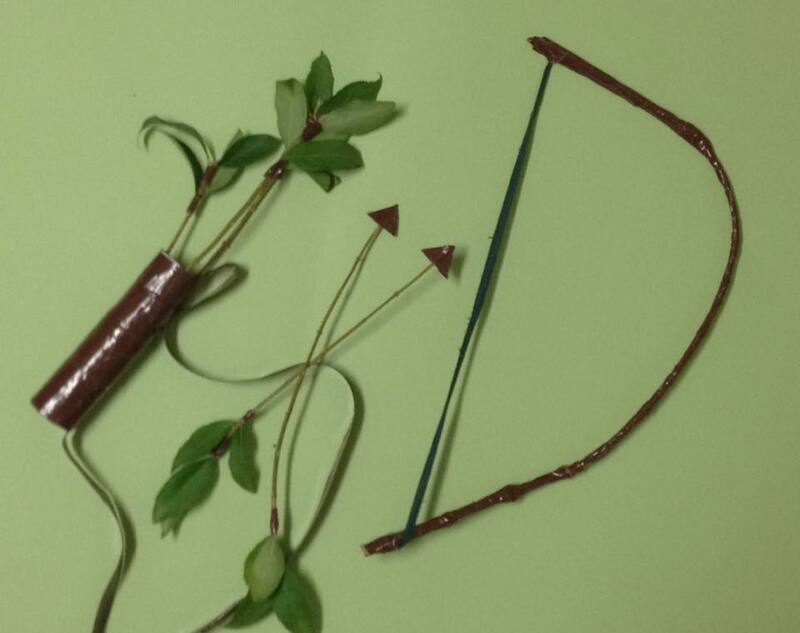 For myself I made a bow and arrows. I might have stolen a chunk of a bush from on campus to make them. I just tore apart an old Hope lunch bag for the string. I put it all together and made the arrow heads with the duct tape as well. I also added some leaves I had stripped from the branches to add some detail to the arrows. To make the quiver I just used another cardboard roll and a folded over strand of duct tape. I was super excited with how it all turned out! 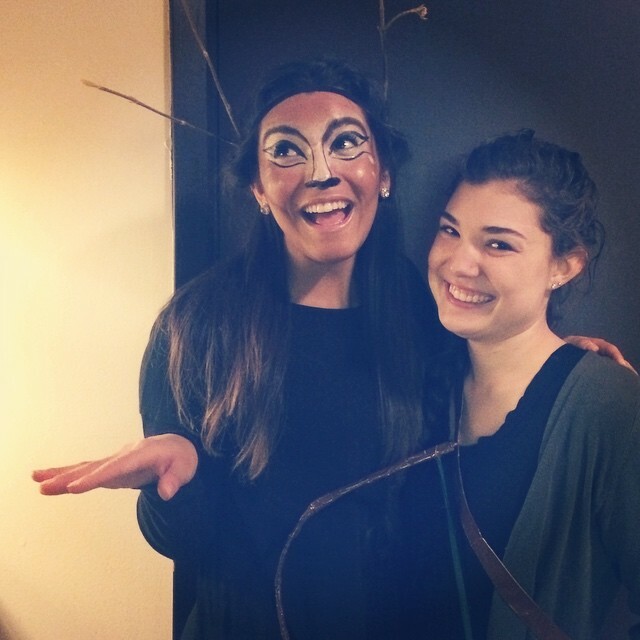 For us girls, getting ready was half the fun, though the boy thought it was entertaining to watch us… We had to put hair extensions in my hair to make my Katniss costume come to life and O did some awesome makeup to create the cutest deer. I hope your halloween was as awesome as mine!